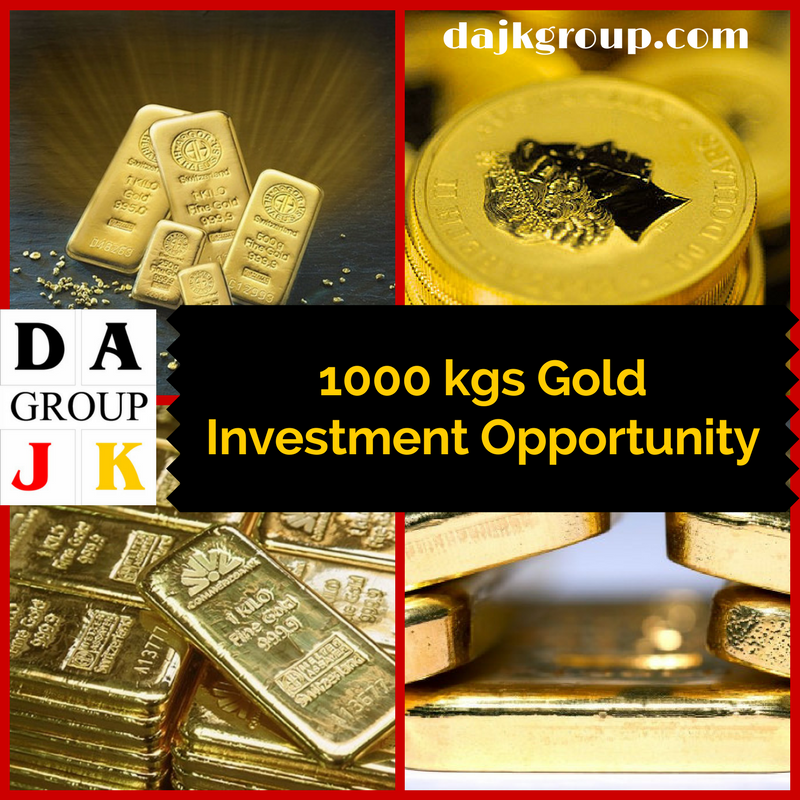 We are seeking for investors in an amount of USD 10 million for our gold contract of 1,000 kilograms. We are in negotiation phase where we will have legal rights and contractual position eventually acquiring 1000 kgs dore bars, purity 24K at 95+% directly from the mine owners. Our acquiring price is going to be at FIFTY PERCENT (50%) discount from the market price. Other hand, we already have buyer’s refinery is willing to purchase at FIVE PERCENT (5%) discount from the market price. Therefore, our final contract between the mine owners and buyer’s refinery will have a build-in FORTY-FIVE PERCENT (45%) gross profit margin and our net profit is THIRTY-FIVE PERCENT (35%). Please note this is a buy and sale of gold investment. Your returns on investment are distributed per shipment successfully delivered. Tier 1: First committed funds of USD 3 million will have the highest return from our total net profit from 1000 kgs, TWENTY PERCENT (20%). Tier 2: Second committed funds of USD 3 million will have the FIFTEEN PERCENT (15%) return from our total net profit from 1000 kgs. Tier 3: Third committed funds of USD 2 million will have SEVEN PERCENT (7%). from our total net profit from 1000 kgs. Tier 4: Fourth committed funds of USD 2 million will have FOUR PERCENT (4%) from our total net profit from 1000 kgs. Tier 1 investors will receive approximately USD 2.8 million or 93% ROI PLUS his invested principal. Tier 2 investors will receive approximately USD 2.1 million or 70% ROI PLUS his invested principal. Tier 3 investors will receive approximately USD 980,000 or 49% ROI PLUS his invested principal. Tier 4 investor will receive approximately USD 560,000 or 28% ROI PLUS his invested principal. At this time, if you are interested, please contact and advise us your participating amount (No funds transfer at this time yet). We anticipate our contract will be concluded within 45 to 60 days. When the contract is executed, we will reach out to you for your committed funds to be bank wire transfer. This is a first comes first in basis. Please note when we reach our USD 10 million, this investment opportunity will be closed. Contact us or email to dnguyen@dajkgroup.com or call for more details.